The Deep See Readers met today to discuss our latest book. 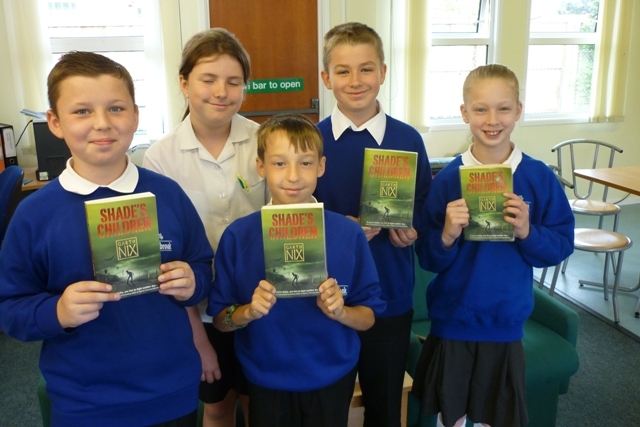 We read ‘Shade’s Children’ by Garth Nix. This book was chosen by Jago who read and enjoyed it. Garth Nix is an Australian author who mostly writes fantasy books. He was born in Melbourne and brought up in Canberra. Our opinions on this book were mixed with some group members being big fans and others not enjoying the fantasy world of the book. Yet, what was clear from the discussion was that everybody could remember key episodes from the book. One reader said that Nix writes ‘vividly’ and this must be true if parts of the book stick clearly in the mind. The fans said this was a book with pace and tension and characters, such as Gold Eye, you could empathise with. The idea for the book is an original one and structure with ‘archive’ sections helps keep the reader on track with the complex story. Two Deep See readers have contributed their views of our book choice to our blog. 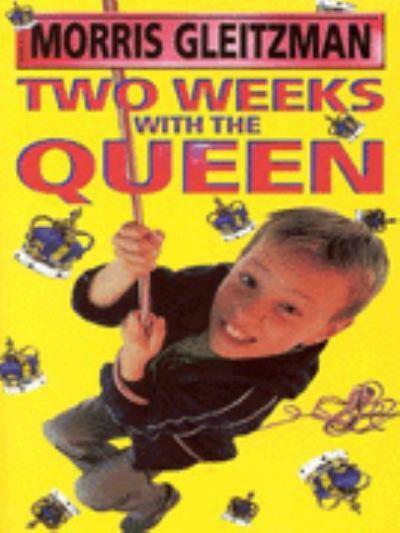 ‘Two Weeks with The Queen’ is an engaging book by Morris Gleitzman, an author who loves humour written and published in his very own books, although in ‘Two Weeks with The Queen’ the humour was not used a lot. He used the smallest amount of humour but the biggest amount of love. If you wanted a book about life, ‘Two Weeks with The Queen’ is going the right way. It is a book about two brothers, Colin and Luke. Unfortunately, Luke has cancer and life or death on his hands. Colin thought that he could find better doctors in London than in his home country, Australia, and with some help he reaches a goal. ‘Two weeks with The Queen’ has an ending where your imagination can run wild. ‘Two Weeks with The Queen’ is a very captivating read. I didn’t want to put the book down, most of the time. This book isn’t a book I would normally read but, once I got into it, it was quite amusing. It is very different because Ted, one of the characters is gay and his partner is very ill. All the books I have read haven’t had any gay men in them and that is why I think this book is different. It is also a book about a boy called Colin who travels to England to find the best doctor in the world for his brother Luke. This book is very interesting and I enjoyed reading it very much. I think it must be a hard job to write a book about very serious issues and make sure it isn’t depressing. Morris Gleitzman has done just that with his book ‘Two Weeks with The Queen’. It is why I like his writing and this book in particular. It is light hearted in places but isn’t funny all the way through. There are some tough moments and it is very sad in places but it is not a depressing book and it shows that when you are need, there is somebody to support you. Colin finds a friend in Ted and finds the strength of character to deal with the crisis in his family. Finding out what was really important in his life was the deeper meaning of the book for me. 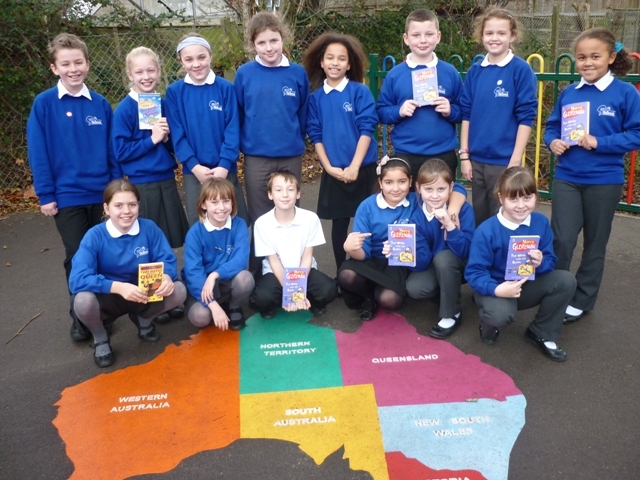 This is a good book for Australia year because there is Australian slang and we get to see what Britain seems like to a young Australian visitor. The ending seems just right to me. There is a sense of hope for Colin and his brother. If you haven’t already done so, read it! The Deep See Readers meet this week to discuss our latest book, ‘Two Weeks with The Queen’ by Morris Gleitzman. I first read this book in the early 90s not long after it was first published in the UK. I have shared it with many classes since then and I am looking forward to finding out what the Deep See Readers think. It will be interesting to see if the readers have developed views about Morris Gleitzman’s style as well.